Just right for the Jewish High Holy Days, this beautiful half-polished Yemenite Shofar features natural black and plum streaks. 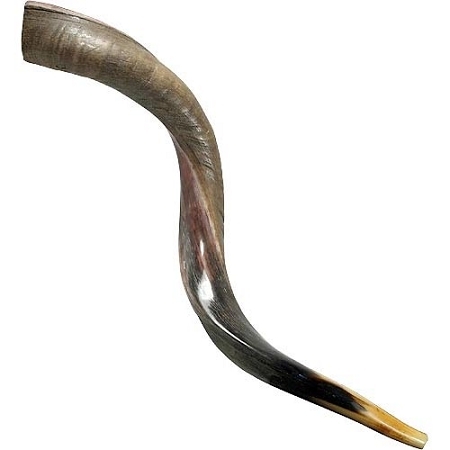 It's an outstanding Kosher Shofar with a great mouthpiece that makes for easy blowing. Size:71-76 cm / 28-30 inch. Copyright Shofar Store. All Rights Reserved. eCommerce Software by 3dcart.